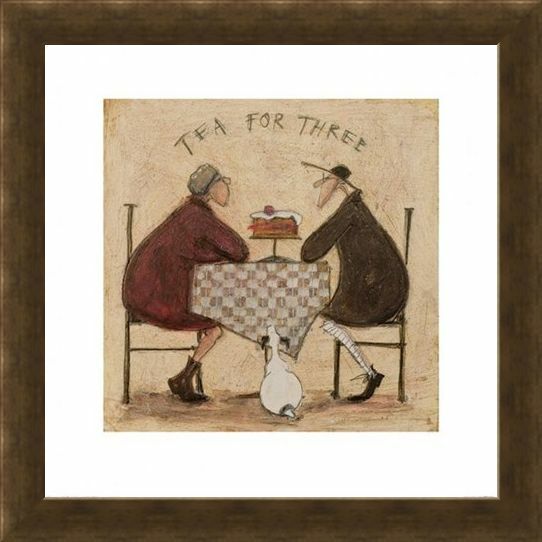 Art Print: Mr Mustard and his beloved wife Violet are pictured in this charming illustration by Sam Toft as they enjoy tea for three with their portly Jack Russell Doris. Sitting around a table covered with a chequered cloth, they patiently await their tea as they eye up the delicious sponge cake which has been placed between them. Doris eagerly admires the sweet treat from below as she sits upon the beige flooring. 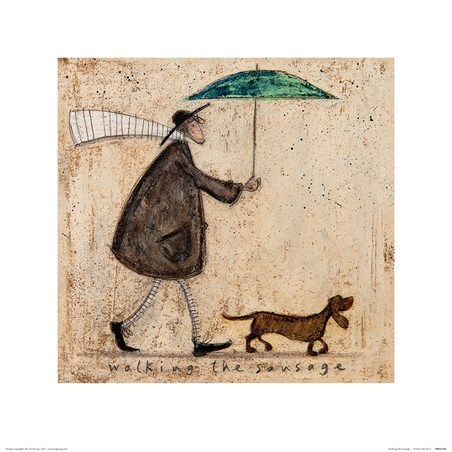 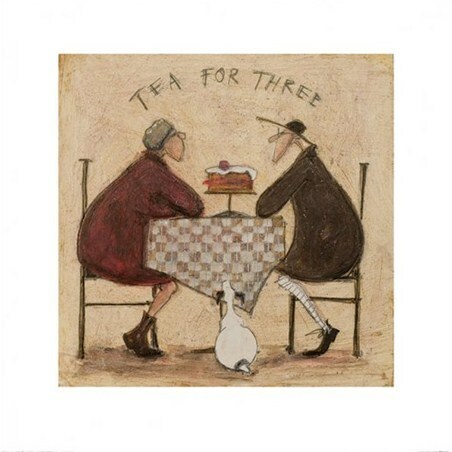 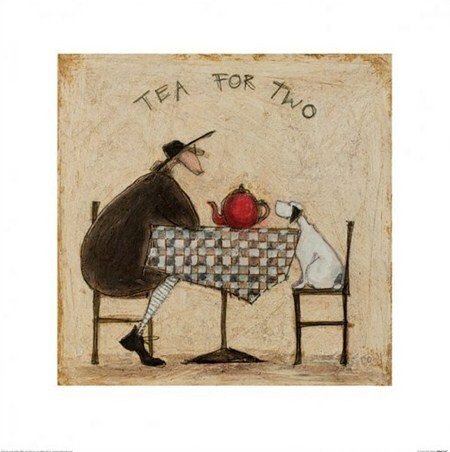 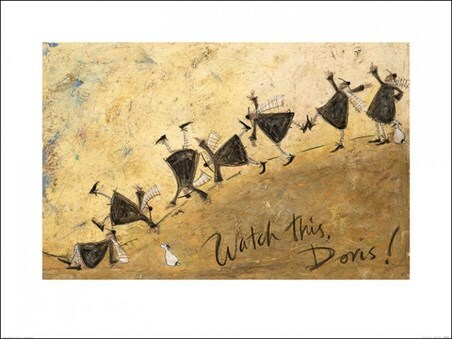 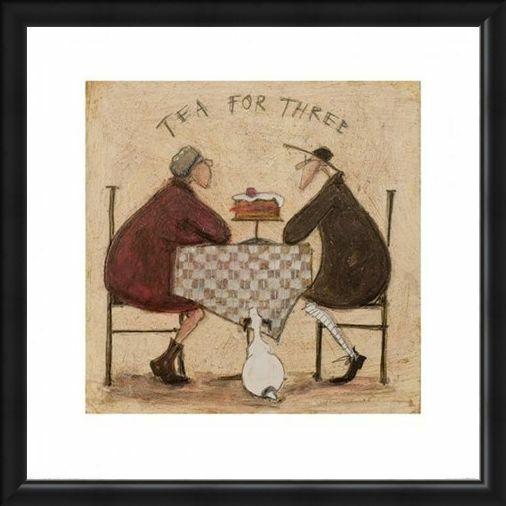 This whimsical print is perfect for fans of Sam Toft's work and will make a charming addition to your home as you enjoy your afternoon tea. 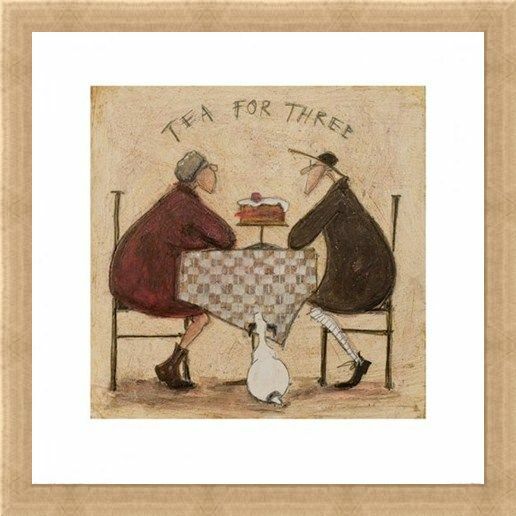 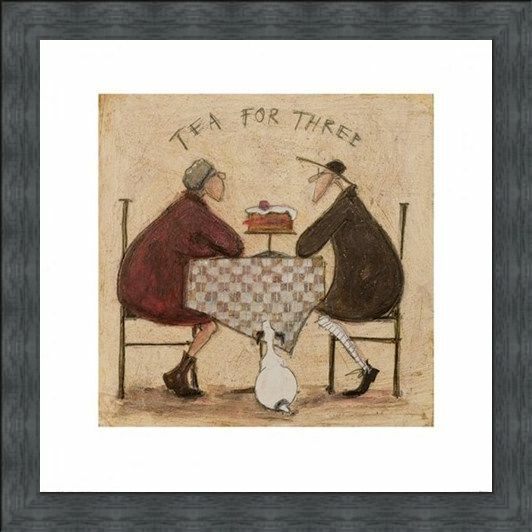 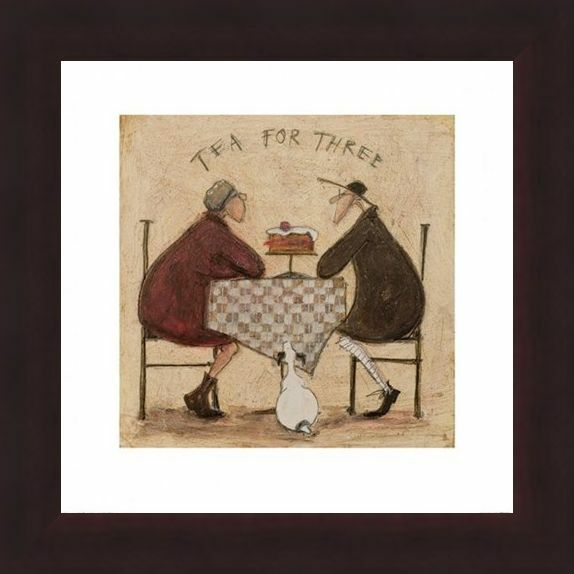 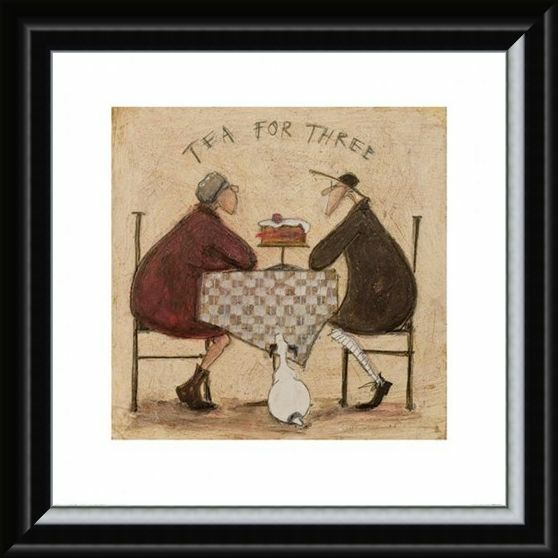 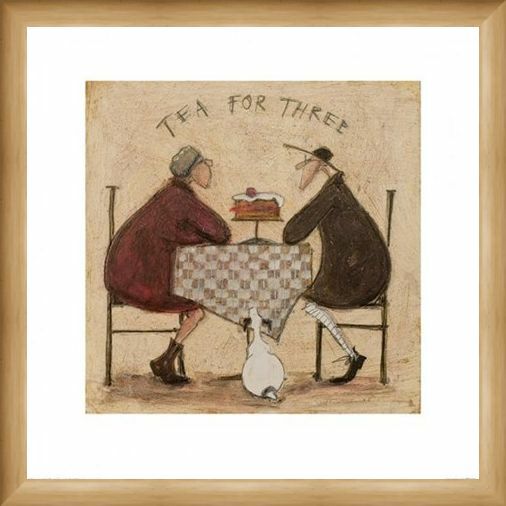 High quality, framed Tea for Three, Sam Toft print with a bespoke frame by our custom framing service.